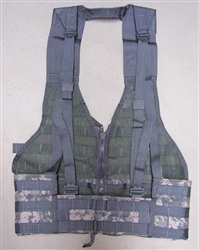 The zippered BAE Specialty Defense Systems Fighting Load Carrier 4117 FLC is a tactical load bearing vest. The vest features the MOLLE / PALS modular webbing attachment system that allows you to configure your load to the way the individual operates. 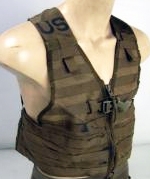 The vest is fully adjustable to fit all sizes. ITEM CLOSEOUT - LIMITED STOCK!